Where do you buy your turkey? Do you go to a conventional grocery store? Buy directly from the farm? Maybe Whole Foods? Or are you do you like to get what at your favorite membership warehouse? 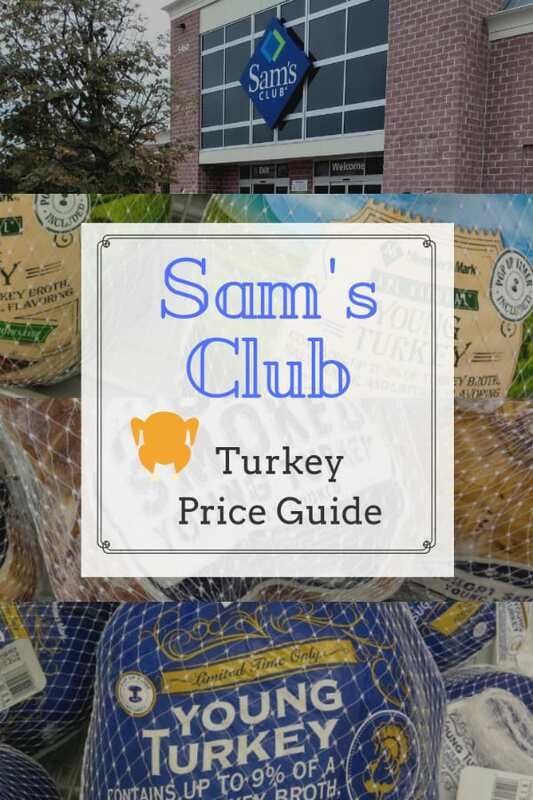 If you answered yes to the final question, then stay with us as we are about to explore the turkey options that Sam’s Club offers. Here are the prices of turkeys that I found at my local Sam’s Club in Ann Arbor, Michigan. Prices and selection may vary by region, so check with your store to be sure certain of the prices. Almost all the turkeys at Sam’s Club were Member’s Mark – the Sam’s Club brand. I will give them credit for making the ingredient list extremely easy to read. Not sure that is a good thing. As you see this isn’t just a turkey inside the packaging. You also got turkey broth, salt, sodium phosphate, sugar, and flavoring. It’s a cheaper turkey yes, but you are paying for the added weight of the broth and it’s ingredients. 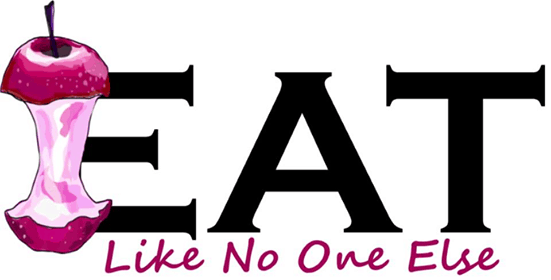 I would rather brine my own turkey and cut the sugar out as well. Let me answer some of the most frequently asked questions I have received over the years about turkeys at Sam’s Club. 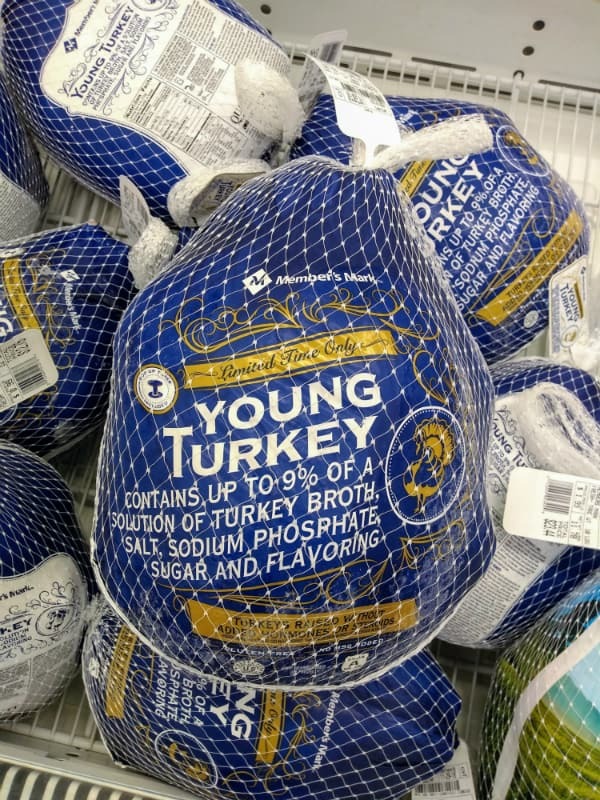 Does Sam’s Club Sell Fresh Turkeys? 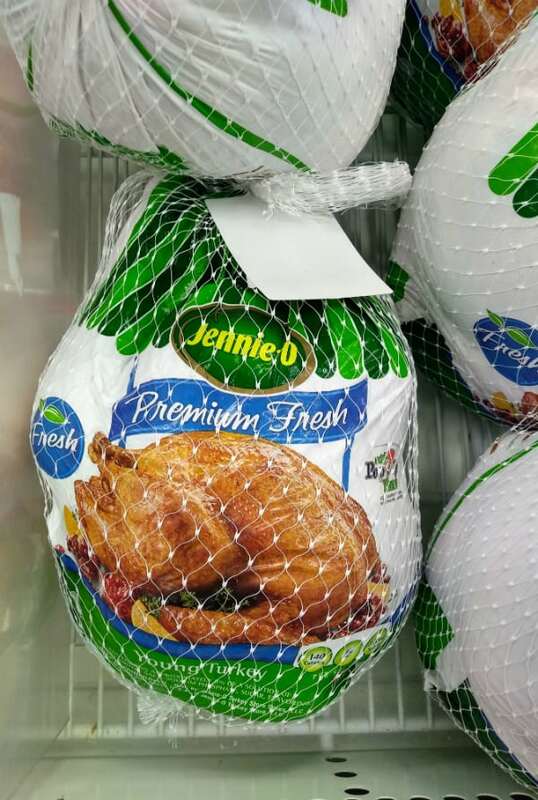 Yes, all the turkeys are considered fresh turkeys at Sam’s Club. For a turkey to be considered fresh it must never go below 26 degrees. 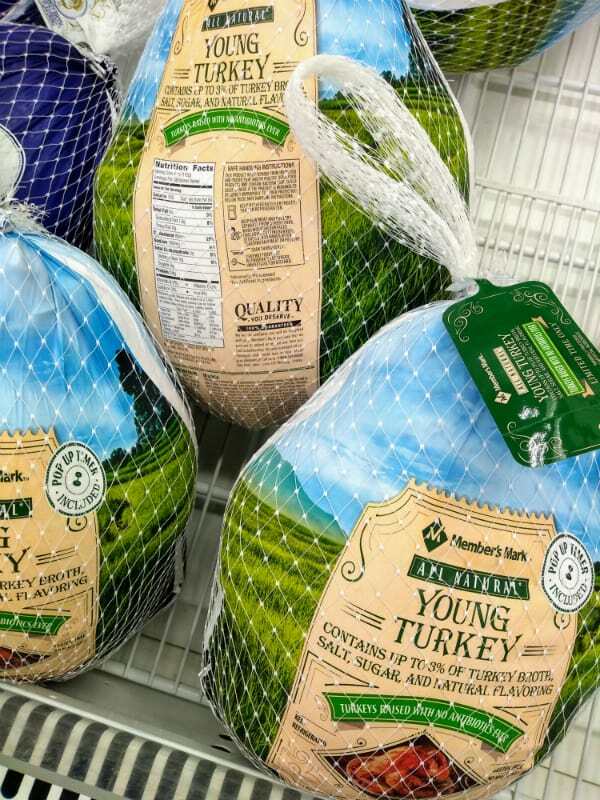 Even fresh turkeys can be hard sometimes and if not taken care properly in shipment or storage could still end up with at least some frozen parts. Turkeys don’t freeze at 32 like water, it’s more at that 26 degree point. The difference between this Member’s Mark turkey and the one I mentioned early besides the color on the packaging, is this turkey is considered “all natural” It is also labeled as being from a turkey never having been given antibiotics. 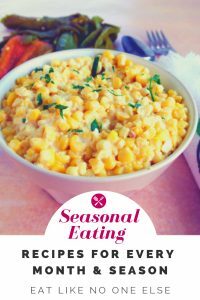 It too contains extra ingredients but in a smaller percentage than the first one. I would opt to pay the addition money to grab this turkey instead. Does Sam’s Club Sell Frozen Turkey Breast? No, I didn’t see any turkey breast whether fresh or frozen during this Sam’s Club run. Does Sam’s Club Sell Whole Smoked Turkey? Yes indeed. 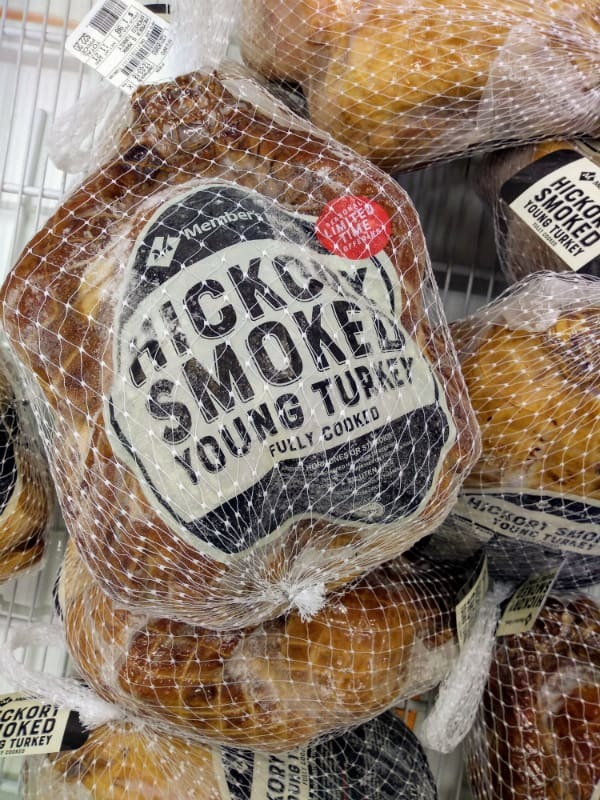 The smoked turkey that are selling is under their Member’s Mark private label. Another Member’s Mark turkey. This one has been already cooked – in fact it was smoked over hickory wood. 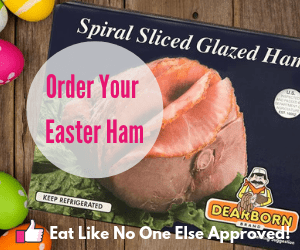 Can I Freeze a Smoked Turkey from Sam’s Club? You sure could. Just pop the smoked turkey into the freezer as is. But make sure to give it enough time to thaw before reheating. Does Sam’s Club Sell Butterball turkeys? You know I am seen them in years past, but this year all I saw was the Member’s Mark brand and Jennie-O. Maybe some Sam’s Club are carrying Butterball. Let me know in the comments section below after your next Sam’s Club trip. No Butterball turkeys at my Sam’s Club this year. They do have Jennie-O, another major name brand turkey. It also contains a solution of turkey broth, salt, sugar, and such and such. Does Sam’s Club Sell Deep Fried Turkey? I didn’t see any already deep fried turkeys in the store. Your going to have to deep fry once yourself. I am recommend looking up Alton Brown’s deep fried turkey advice. Does Sam’s Club Have Pre-cooked Turkey? Technically yes. A smoked turkey has already been cooked. But I think most people asking this question are wondering can they buy an already roasted turkeys that they just have to re-heat. I did not see that as an option at my Sam’s Club. Your better off going to another grocery store for that kind of service. I would really want you to consider cooking your very own turkey. I know people get intimated by them, but if you ever have cooked a whole chicken, then turkey is like going a really, really big whole chicken. As a Thanksgiving bonus, I wanted to share with you my favorite tools that will make your Thanksgiving easier. The sams club fresh turkeys say they contain a solution but it’s not labeled brined specifically. Could I still do a dry brine on this turkey? I already bought it so am a little concerned. I have brined turkeys like this before and it wasn’t overly salty.